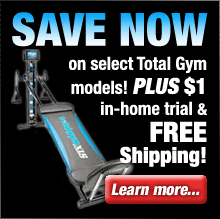 Limited time offer - Save On SelectTech Dumbbells from Bowflex Direct! $50 off + Free Shipping with 1090s or Free Shipping with 552s! Bowflex SelectTech Dumbbells feature an innovative design that allows you to quickly change the amount of weight with just the turn of a dial! One set replaces multiple dumbbells offering you a high-tech fitness solution that not only saves space but also increases the efficiency of your workout routine. With up to 17 different dumbbells in one, you’re sure to get the results you want with Bowflex Select Tech! The key to getting and staying fit is maintaining it, and you can achieve your goals with SelectTech. Bowflex SelectTech Dumbbells are superior products, and Bowflex stands behind each and every set. Your satisfaction is guaranteed! Just purchase your dumbbells (direct from Bowflex) and workout for up to six weeks. If you're not 100% satisfied with the results, simply contact their customer service department for a Return Authorization, return the set (including any accessories) in its original condition and packaging to receive a full refund, less shipping & handling. Item must be received no later than 2 weeks after your return authorization is given. The Bowflex SelectTech 552 Dumbbells have everything you need to burn fat fast. These adjust in 2.5 pound increments and are more family friendly and space efficient. This is the most popular SelectTech model because it adapts so well to your home. It replaces 30 separate dumbbells and allows you to switch from one exercise to another easily and quickly. The Bowflex SelectTech 1090 Dumbbells replace 17 dumbbells providing you the ability to quickly adjust your workout weight in increments of 5 lbs. They take up little space even though this model provides a more weight (up to 90 pounds). In this weight range, you can do everything that you could do in the gym without the membership – including curls, raises, shrugs and even lunges. Bowflex SelectTech dumbbells are exceeding expectations among home gym enthusiasts. You're going to love the powerful in-home workout these dumbbells provide - not to mention all the money (and space) you'll save by choosing this innovative technology from Bowflex. SelectTech dumbbells are perfect for users who want the variety of a professional fitness club in the comfort of their own home. SelectTech's cost half the price of traditional dumbbells and take up less than 1/8 of the space - some users go so far as to display these models in their own living room. But these dumbbells are more than a conversation piece. Bowflex SelectTech dumbbells not only allow you to switch from one exercise to the next very quickly, but also each dumbbell adjusts from 5 to 90 pounds (depending on model). 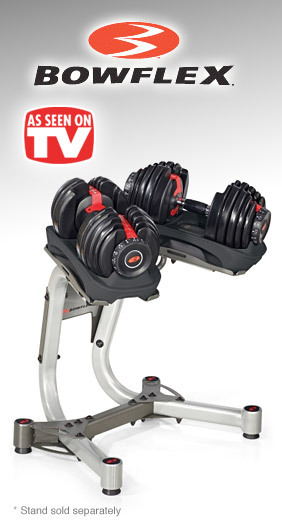 Bowflex SelectTech models include the 552 dumbbells for everyday use and 1090 dumbbells for serious weight training. 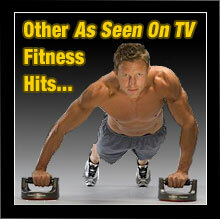 Take advantage of this breakthrough fitness technology and order your dumbbells today!